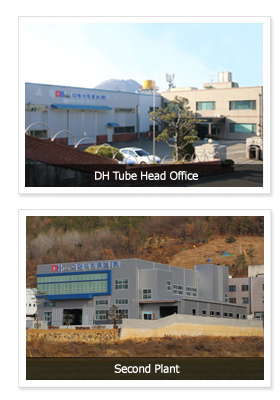 Powertrain, Oil Pickup Tube, Power Pump, Air Conditioning, Power Steering, Machined Part & Press Part, Machined Part, Press Part, DH Tube Co., Ltd.
" Keeping pace with globalization, we are concentrating on research and development activity through innovative technology and excellent quality." power pump, power steering , and other fluid control system applications since its foundation. Not only serving local markets, we also export to North America, Europe, and broader Asia. Based on the slogan, "Toward the World, Toward the Future,"
we are doing our best in unison with all our employees to grow the company in the right way for our customers. We strive to improve our customer's competitive position, to assure excellent technical skills, to provide competitive price, and to contribute to our society and country.